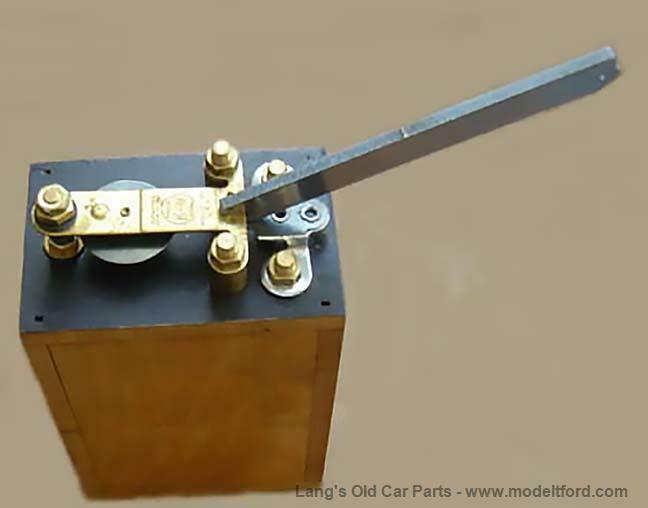 This special size tool is used to properly adjust the Model T Ford coils and other "buzz" type ignition coils that use the 1913-1927 style KW ignition points. In particular this tool allows a person to increase or decrease the tension on the Cushion Spring portion of the upper points Bridge. The slot at one end of the tool will fit the thickness of the typical reproduction point set while the slot at the other end fits the original Ford and KW points. The tool is best used in conjunction with either our Strobo-Spark Coil Tester part# 500STRO or a Hand Cranked Coil Tester such as part# 500HCT.